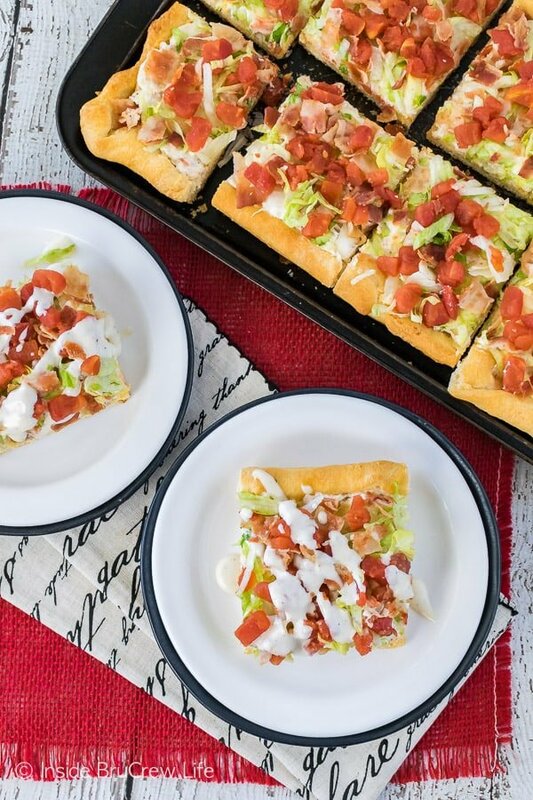 Tomatoes, bacon, and lettuce add a fun summer flair to this easy Chicken BLT Ranch Pizza. 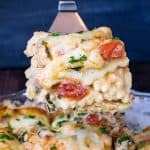 It’s a great appetizer or dinner for summer picnics. 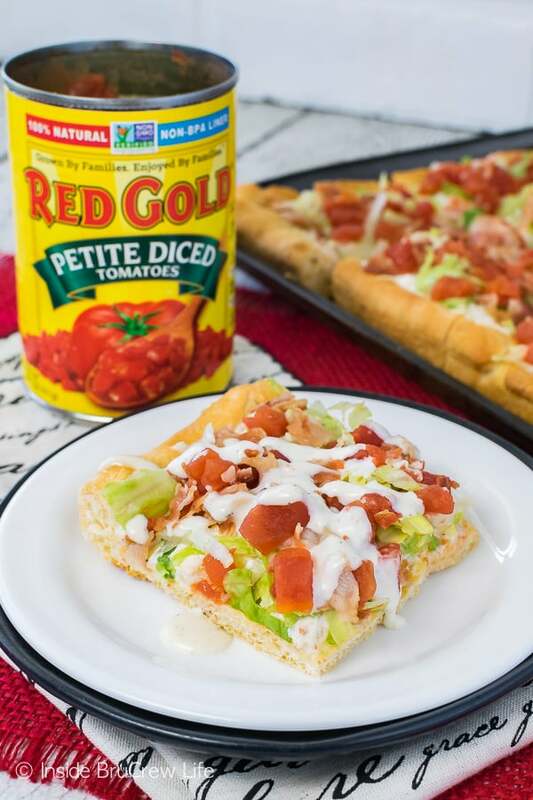 *This summer I am partnering with Red Gold® as a brand ambassador creating recipes using canned tomatoes. As always, all opinions are 100% my own. Bright sunshine is pouring through our windows today as I sit here. Summer has quickly become my favorite season. I love all things that come with a bright sunny day. Sunshine, blue skies, pool days, picnics, and BLT sandwiches are just a few of my favorite things. Can I tell you a secret though? There was a time when I thought I didn’t like bacon. I know! How crazy is that? The only way I could or would eat it was extra crispy and on a BLT sandwich. Eating it plain was never an option. Although, over the past few years I have been adding it to different pasta dinners, and I have slowly begun to enjoy bacon in other things. Our family enjoys eating pizza. It is definitely one of the most asked for dinners in our house. Some nights we do take out because it is easy to just order one after a busy day at work. Other nights we enjoy making homemade pizza dough and creating our own custom pizzas. During the summer we usually do not make as many homemade pizzas because who wants the oven on for an extended time when it is 100 degrees outside. I was totally craving pizza the other day though, so I decided to take a shortcut on the crust and create a cold pizza. 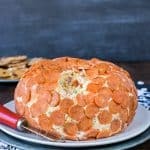 You have had crescent roll pizza before, right? Usually it is covered in veggies and served as an appetizer at showers or parties. The crust only bakes for a short time in the oven, so your house will not get too hot while you make this one. The past year I have been working with Red Gold® tomatoes creating recipes using their canned tomatoes. Every can I have opened has been filled with bright red tomatoes that are firm and taste delicious. That keeps me reaching for that bright yellow label every time I’m in the store. We love using them in different meals like these cheesy chicken sliders. 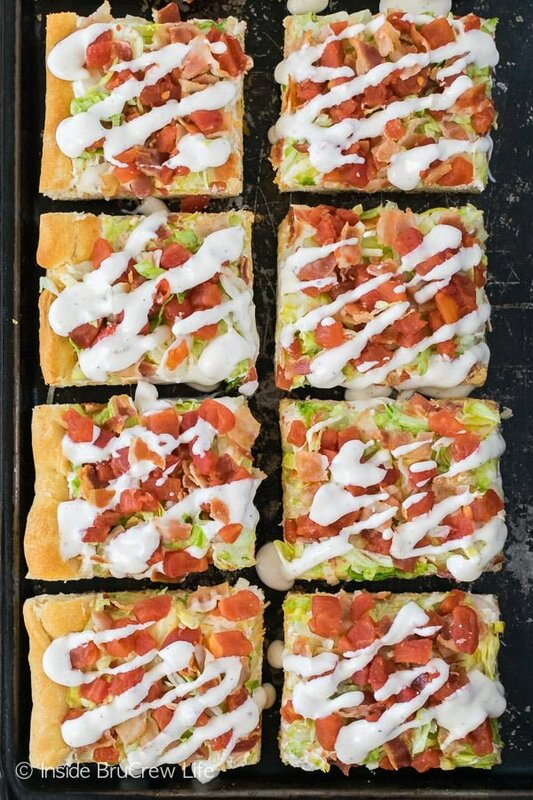 Since it is summer and I am craving all things bacon and tomato, I decided to make a cold chicken BLT ranch pizza for dinner. 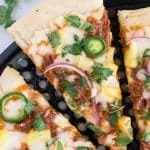 Our kids love cold pizza for breakfast, so why not have it for dinner too, right? 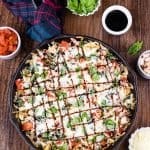 This easy pizza would also be perfect for parties and picnics this summer. It’s easy and light enough to serve as an appetizer if you cut the squares smaller. And it works for a quick and hearty dinner when you make the squares bigger. Bake your crust at least 30 minutes before you want to put the pizza together. You want it to have time to cool off before you add the toppings. 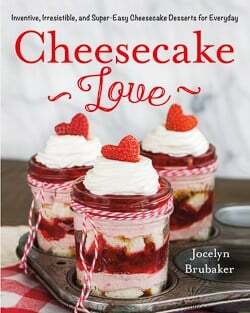 Mix together the cream cheese, ranch dressing, and garlic until it is creamy. Stir in some chicken and cheese and spread it all on the cooled crust. Sprinkle on some shredded lettuce and crumbled bacon. If you really want to save some time, use a bag of all ready shredded lettuce and buy a box of cooked bacon. Short cuts are always welcome in my kitchen. Drain the can of tomatoes very well. I also placed the tomatoes on some paper towels to remove even more of the moisture so the pizza didn’t get soggy. 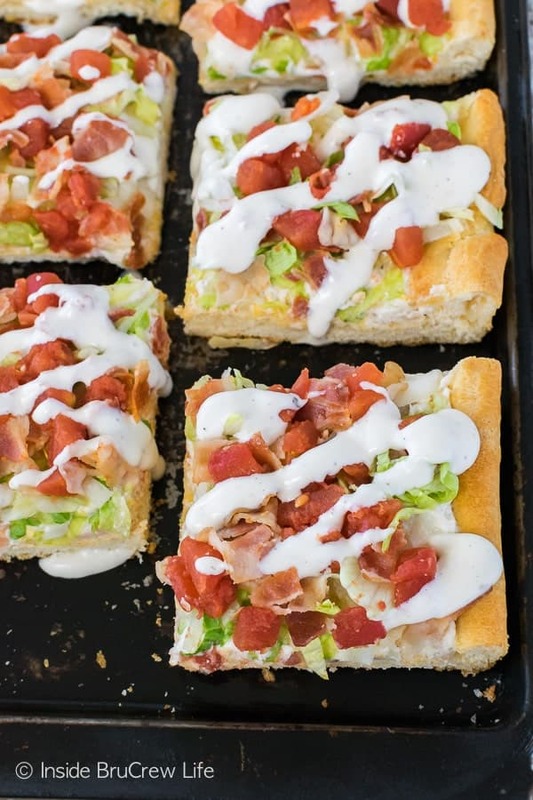 Cut the pizza into squares and drizzle with ranch dressing right before serving. Watch the pizza disappear right before your very eyes! 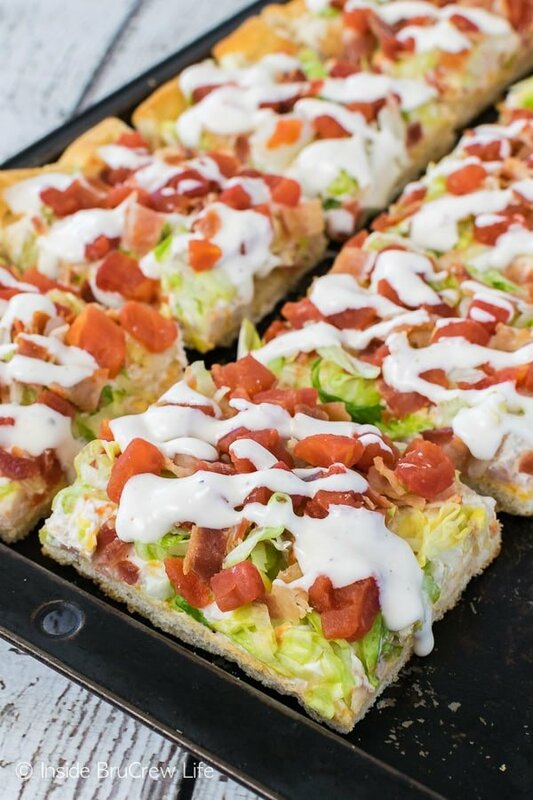 Tomatoes, bacon, and lettuce add a fun summer flair to this easy Chicken BLT Ranch Pizza. 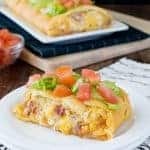 It's a great appetizer or dinner for summer picnics. Preheat the oven to 375 degrees. Spray a 15x10 pan with nonstick spray. Unroll the crescent roll sheets and press onto the pan. Fold under the edges if needed. Bake for 14-15 minutes. Remove and cool for at least 30 minutes. Beat the cream cheese, ranch, and garlic until creamy. Stir in the chicken and cheese. Spread the mixture on the cooled crust. 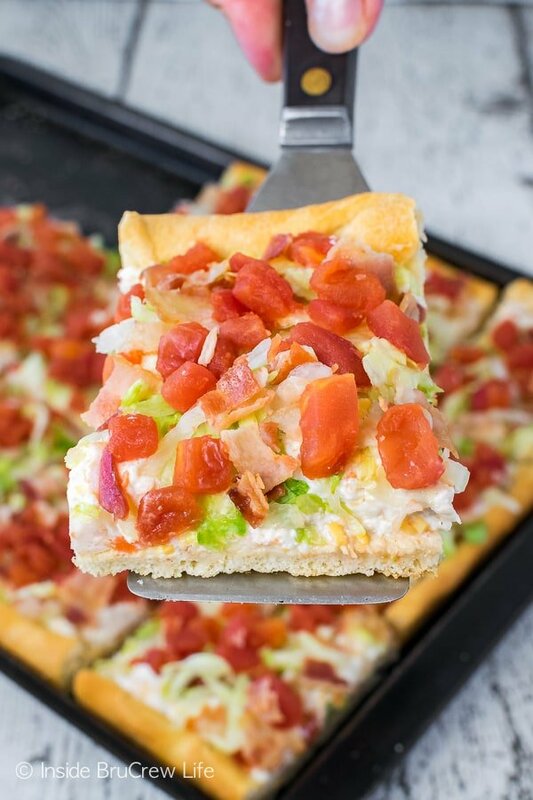 Top with lettuce, bacon, and tomatoes. Cut into 6 rows by 3 rows. Serve immediately or refrigerate until ready to serve. Drizzle ranch dressing on the squares right before serving. 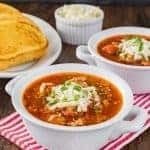 *Red Gold compensated me for my time in creating this recipe, post, and video. All opinions expressed in this post are 100% my own. 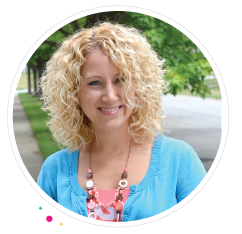 Thank you for letting me share the brands and products we use and love. Oh my god this looks so freaking crave worthy. I am a ranch addict. It makes everything better! Chicken BLT ranch. It’s just too good! I only used to like crispy bacon, too. And I am a huge fan of cold pizza and every single thing on top of this pizza sounds incredible. I will definitely have to add this to my meal rotation, especially in the hot summer months.